Can Catching Fire Earn A Best Picture Nod? Unless you’ve spent the last year raising alpacas in the Peruvian mountains, you’re well aware that Catching Fire comes out today, and by all accounts, it rules. But, does it have what it takes to earn a Best Picture nomination come Oscar time? Let’s take a closer look. We’re just under two months away from January 16, the day Oscar nominations are announced, and already there’s a consensus dozen films that have the inside track on a coveted Best Picture nod. In no particular order: 12 Years a Slave, Gravity, Captain Phillips, American Hustle, The Wolf of Wall Street, Saving Mr. Banks, Nebraska, Blue Jasmine, The Butler, and Inside Llewyn Davis, with All is Lost and Dallas Buyers Club on the outside looking in. So with twelve films currently duking it out for a maximum ten slots, there’s little room for the critically adored Catching Fire to worm its way in come winter. But, as we’ve seen before, a lot can change between now and nomination time. Two of the aforementioned films — David O. Russell’s American Hustle and Martin Scorsese’s The Wolf of Wall Street have yet to screen for audiences, and are only considered favorites based on the pedigrees of their top-shelf casts and directors, and from the little, but totally awesome footage we’ve seen in trailers. Other hopefuls, like Blue Jasmine and The Butler — both of which were released this summer — may have peaked too early, so it’ll be up to their respective studios to reignite their earlier momentum by refreshing voters’ memories with heavyweight Oscar campaigns. There’s not a whole lot of wiggle room left — at least eight of the above films are virtual locks — but is there just enough for Catching Fire to sneak in? Here’s what it has going for it. 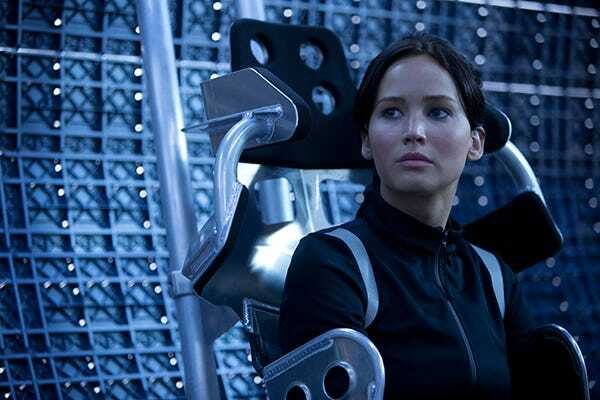 The buzz surrounding The Hunger Games has been both rapturous and deafening. It currently stands at an astonishing 92% on Rotten Tomatoes, making it one of the most acclaimed films of the year, and putting it in elite company alongside Best Picture frontrunners 12 Years a Slave (96%) and Gravity (97%). Now obviously, unanimous praise by no means guarantees a Best Picture nod. Last year, both Moonrise Kingdom and The Sessions were 94% certified fresh, but narrowly missed out on nominations, while Les Miserables scored a middling 70% fresh rating, but still managed to earn a nod. That’s because it was the kind of big, bold, traditional Hollywood epic that older Academy members tend to favor, and as voters continue to acknowledge prestige films that also rule the box office, it helps that Les Mis made serious bank. While no one doubts that Catching Fire will bring in a financial haul that should rival the GDP of most small countries — some are projecting it to surpass the $1 billion mark in total box office when all is said and done — there are two major factors working against it. First, it’s a sequel — a transition piece intended to set the stage for the grand finale Mockingjay films due in 2014 and 2015. Academy voters typically shy away from sequels, with Toy Story 3 the only film to ever receive a nomination without any of its predecessors being nominated. Second, despite dealing with grandiose themes like mortality, love, survival, sacrifice, and all that jazz, it’s still a piece of science fiction (usually the death knell for most Oscar hopefuls). In the Academy’s 85 year history, Best Picture has never been awarded to a sci-fi film, and only a handful — A Clockwork Orange, Avatar, District 9, and Inception among them — have ever been nominated. 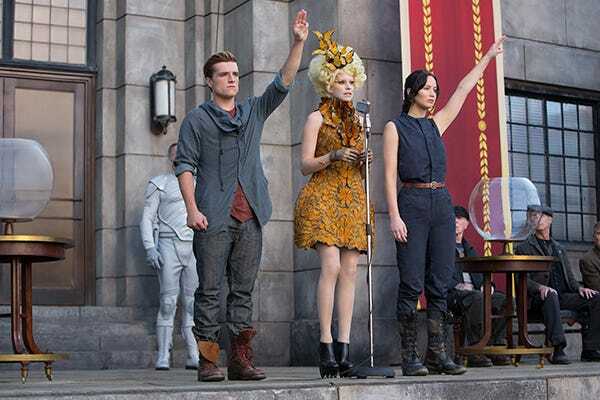 With Gravity set to hog the nerd vote this year, it looks like Katniss and co. may be out of luck. Speaking of Katniss, the woman who plays the pony-tailed heroine (you may have heard of her) may be Catching Fire’s only hope of breaking through come Oscar time. The world’s love affair with Jennifer Lawrence has never been more full-on. Hollywood has fully embraced her as its great savior; someone who can anchor a studio tentpole and act. What better way to perpetuate the narrative than by legitimizing her YA franchise with a nomination come January? What Catching Fire’s slim hopes may ultimately depend on is whether or not Lionsgate, the studio behind the film, sees legitimate awards potential. So much of the Oscar race comes down to a studio’s campaign efforts, a series of cocktails, luncheons, and trade magazine adverts geared towards influencing Academy voters. So, while millions of die-hards will undoubtedly declare Catching Fire the best film of the year this weekend, remember: Convincing the Academy is a different story altogether.